Just for Will (I promised we’d do this one first!) we’re off to Barwell!! 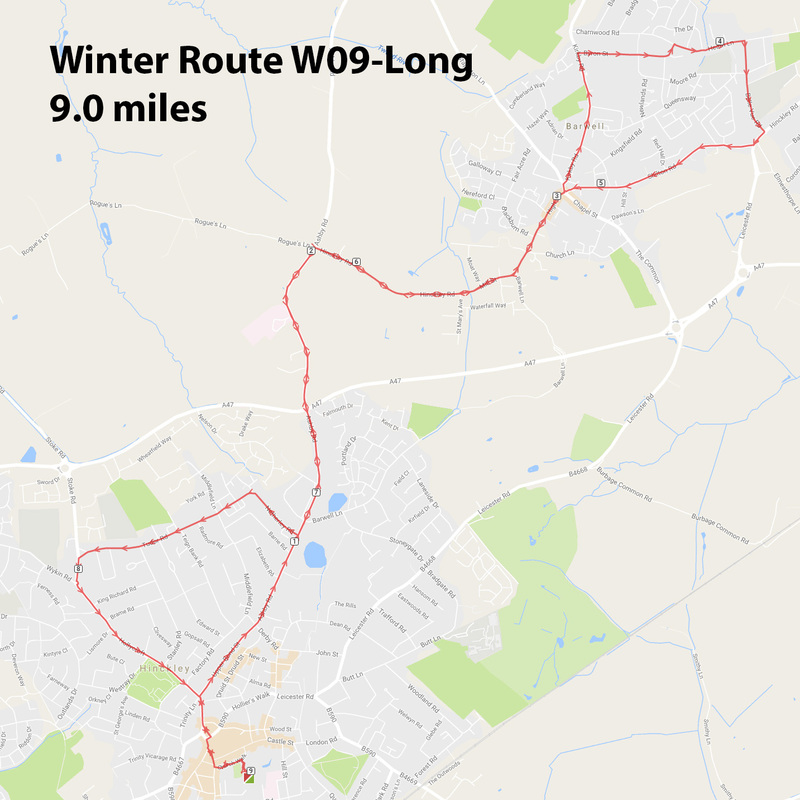 For the shorter route, omit the Tudor Road loop at the end (making it 8 miles) or turn back at the Barwell centre roundabout and retrace your steps to make it between 6-7 miles. It is getting dark by 7.15pm so please does to be seen! 6.20pm meet for 6.30pm departure.